A first-hand account of the Ebola epidemic by an American doctor who has been featured on the front page of the New York Times.Dr. Steven Hatch first came to Liberia in November 2013, to work at a hospital in Monrovia. Six months later, several of the physicians Dr. Hatch had mentored and served with were dead or barely clinging to life, and Ebola had become a world health emergency. Hundreds of victims perished each week; whole families were destroyed in a matter of days; so many died so quickly that the culturally taboo practice of cremation had to be instituted to dispose of the bodies. With little help from the international community and a population ravaged by disease and fear, the war-torn African nation was simply unprepared to deal with the catastrophe. 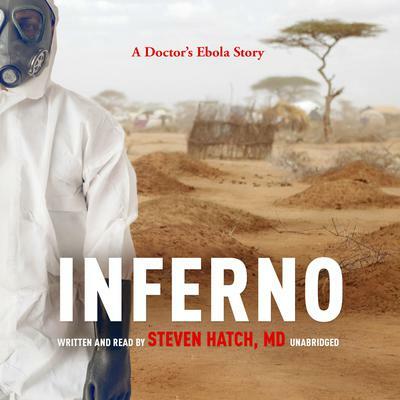 A physician’s memoir about the ravages of a terrible disease and the small hospital that fought to contain it, Inferno is also an explanation of the science and biology of Ebola: how it is transmitted and spreads with such ferocity. And as Dr. Hatch notes, while Ebola is temporarily under control, it will inevitably reemerge—as will other plagues, notably the Zika virus, which the World Health Organization has declared a public health emergency. Inferno is a glimpse into the white-hot center of a crisis that will come again.